You probably know KZ by now. 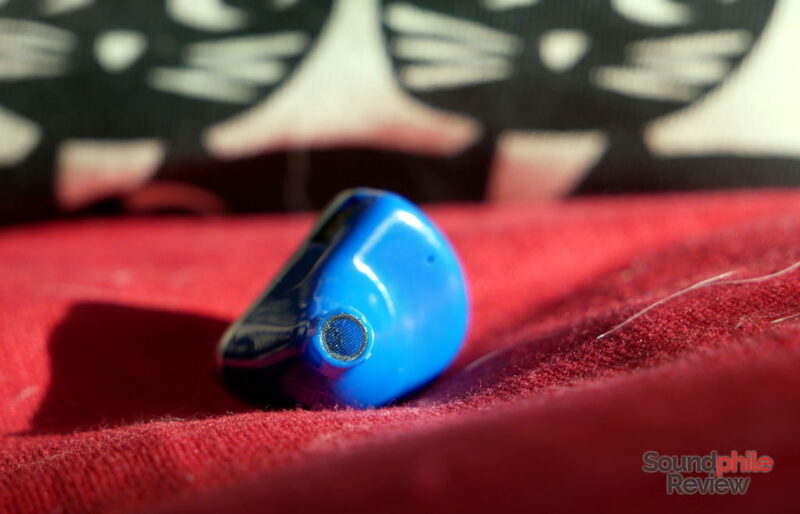 The Chinese company gained great relevance in the IEM world in the last few years thanks to their products that offer good sound quality at affordable prices. The company never got beyond the $100 price mark, and seems keen on not doing it. Cues in this direction come from the fact that the company branched into another brand, called CCA – which stands for Clear Concept Audio. The CCA C16 are their top offering and feature eight balanced armatures per earpiece, with a total of 16 drivers – hence the name. Disclaimer: I received the CCA C16 from Linsoul Audio free of charge. They sell them on Amazon at $160, on AliExpress at $95 or on their website at $99. 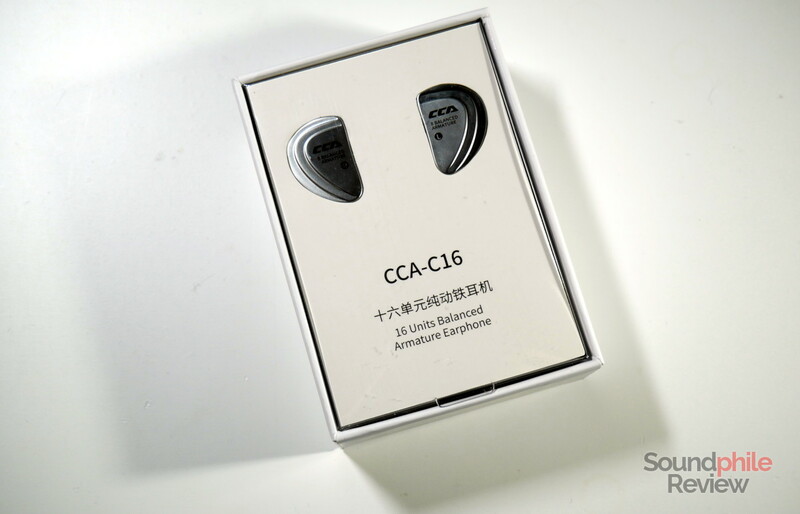 The CCA C16 may be sold at a much higher price than KZ’s usual products, but this does not prevent them from featuring the exact same packaging as the other brand’s much more affordable products. The CCA C16 feature a simple cardboard box with a transparent plastic “lid”. 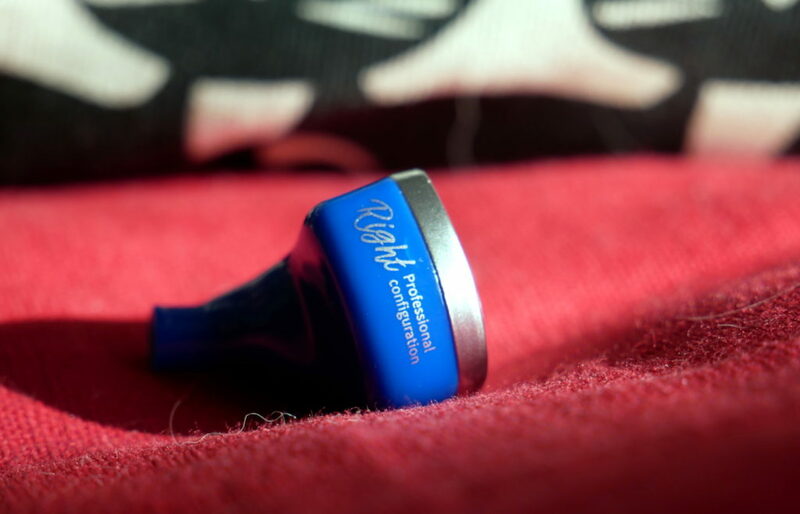 Together with the earphones are the cable, three pairs of silicone eartips and a small leaflet with information about the warranty. Design-wise, the CCA C16 are the proof that KZ did not put much effort into hiding their relationship with CCA. The C16 use the same shell as the KZ AS10, with the faceplate that’s the only difference – it’s transparent plastic on the AS10, while it’s solid metal (aluminium?) on the C16. The shell is therefore relatively small and it has a shape that’s comfortable for most people. It’s available in multiple colours, including the bright blue of the ones I got. The CCA C16 are well built, although the plastic parts may appear a bit cheap for the price range they’re in. They’re identical to the AS10 even though they cost two times as much. They may not be everyone’s cup of tea in this sense, as those expecting better design and quality with higher prices may be disappointed. On the other hand, the metal faceplates make them appear a bit more refined. There are some minor differences in other areas, too, such as the grille at the end of the nozzle. Comfort is great: the shell is relatively small and its triangular shape with rounded corners is probably ideal for most people. Comfort is indeed a deeply personal matter, but I feel that the C16 may suit a vast array of people. The CCA C16 are not the best on the market in terms of isolation (that award goes to the Shozy x Neo CP), but they’re still good. With the stock tips they don’t offer great isolation, but using foam tips one can use them on public transport while keeping the volume low. CCA is related to KZ and it shows (again) in the cable. 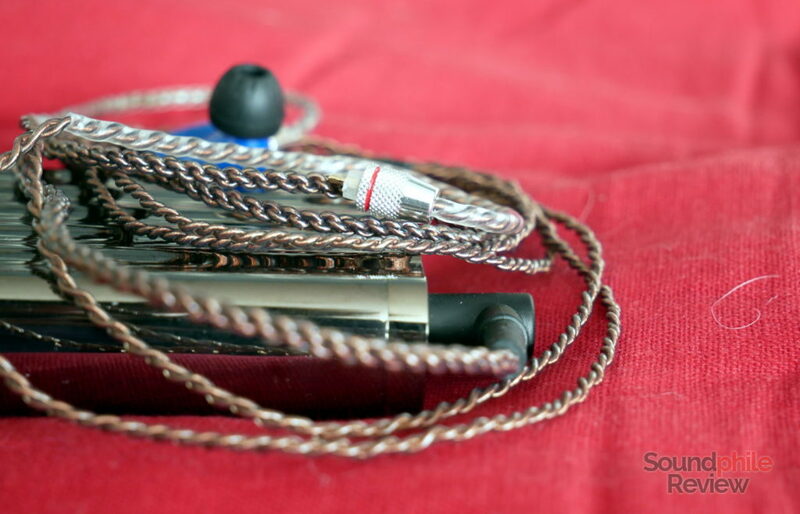 It is in fact a mix of cables used by KZ: the connectors are like those used in the silver cable (usually sold separately), while the cable itself is identical to those used in the latest products such as the KZ AS10 or KZ ZS10. The final result is mixed, as the connectors appear to be of good quality but the cable itself is a bit flimsy, especially after the Y-split. What’s odd about the cable is the mix of male and female elements in the 2-pin connectors. The connector on the cable, which has the two pins, is unlike that of “normal” cables such as the Yinyoo 6-core copper cable, as it has a socket around the cables where the male plastic part on the earpiece is inserted. When trying the CCA C16 I paired them with a few sources, including an iFi nano iDSD Black Label, an iFi xCAN, a Shanling M2X and a Creative SXFi Amp. I also used an iFi IEMatch. Source files were standard-resolution FLACs in the vast majority of cases. 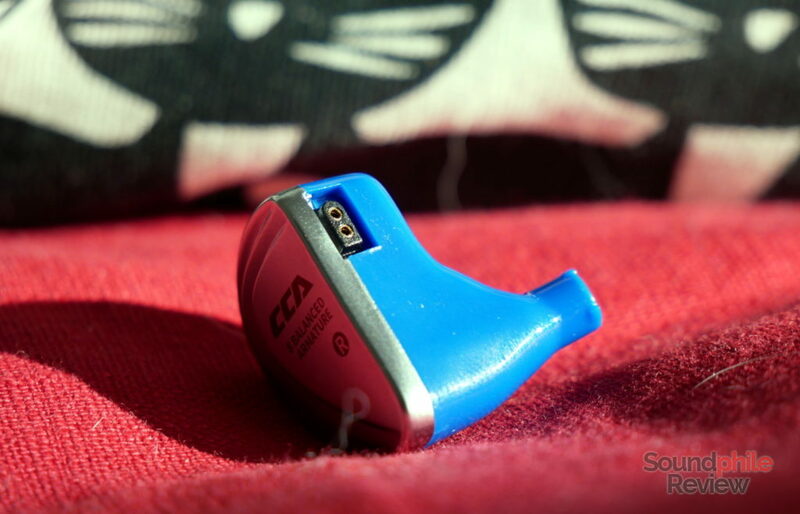 Considering the CCA C16 are from KZ, a company known for their sometimes extremely unbalanced tuning, it is rather surprising that they are among the most balanced in-ear headphones you can purchase at less than $150. They are not perfectly neutral, but they are close to that to the point I think they could be use for studio work. The eight drivers in each sides are divided as follows: two 22955 armatures take care of bass, two 29689 drivers take care of midrange and four 30095 drivers reproduce highs. The low impedance and high sensitivity mean the earphones do not necessarily need amplification as they don’t require much power. 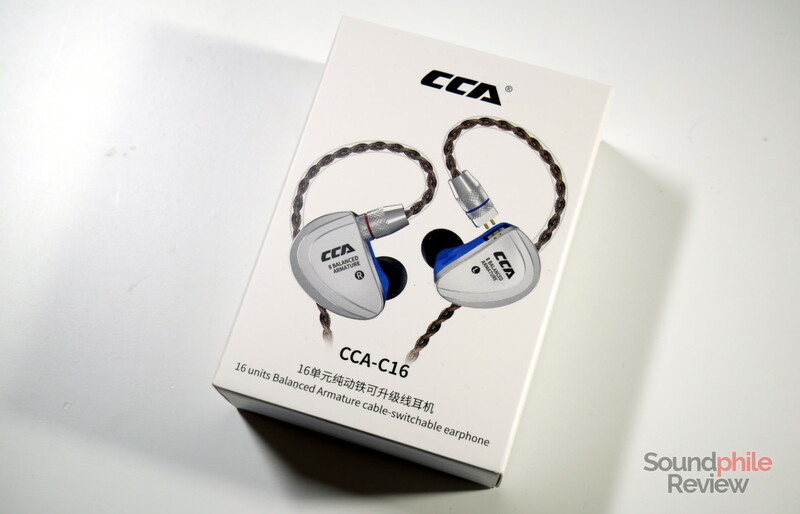 From a technical ability perspective, the CCA C16 are downright exceptional for their price. Their weakest point is the soundstage, which is large but still limited both in width and depth and never allows you to go beyond the feeling of having music inside your head. It does give you some sense of space, but it does not extend beyond a moderately-sized room. Imaging, on the other hand, is quite accurate and give you a good idea of where the instrument is – it’s not laser-focused, but it’s more than a bare positional cue. Instrument separation is superb and all instruments are clearly distinguishable even in crowded tracks – which is sometimes an issue as it takes focus away from the main instruments and distributes it more evenly between all the parts. Bass is exactly what one would expect from balanced armatures: controlled, a bit shy and without any punchiness. It’s limited in terms of quantity, so much so that it is almost south of neutrality; it’s more in Tin Audio T2‘s territory than in PMV Crescent 8BA‘s, despite the former using a dynamic driver and the latter using balanced armatures. Unlike the T2, though, the CCA C16 lack any physicality whatsoever, confirming once again the fact that bass on balanced armatures is accurate but not really engaging nor fun. Despite this, there’s enough depth to feel the lower notes, as the C16 reaches down to 30 Hz while keeping the volume at a good enough level. I can hear no emphasis on any specific part, and bass never leaks over the mids. In line with its balanced armature nature, bass is fast and accurate in its representation of transients, so drums and other similar instruments are portrayed with good vividness and detail. Midrange is equally fast and equally (if not even more!) detailed. Tonally wise, the CCA C16 offer what’s an almost neutral representation of mids. I can’t hear any emphasis on any specific part of the spectrum. This, in turn, makes every instrument sound exactly as it should, meaning that everything appears to be in the right place. There’s no sign of sibilance and this smoothness makes the sound devoid of any fatigue. What’s especially likeable about the midrange is that it is greatly detailed and always crystal clear. Instruments show a level of detail that’s incredibly uncommon in this price range, so much so that it is comparable with earphones that cost $100 more. The great separation between instruments and the high level of detail make the instruments sound very clear and make them pop out, so that it is easy to pick each one in the mix despite the complexity of the track. Treble is airy and open, thanks to the great extension the four balanced armatures allow. As far as I can hear it is linear, so there are no parts that appear before others and everything sounds pretty much even. This comes as a great advantage as treble is presented clearly and is laid in front of the listener without giving additional emphasis (or taking any away) to any part. Treble is therefore very likeable in terms of tuning, in addition to being faithful to the original recording. All this is then to be combined with the great level of detail that treble offers: the 30095 balanced armatures do a great job at portraying even small nuances and give highs depth and presence. As they are neutral in their tuning, the CCA C16 work well with almost every genre out there; it then depends on your personal preference as you may want to have emphasised areas (e.g. bass if you listen to hip-hop or electronica), but the C16 sound generally good with anything you throw at them. KZ AS10: although the AS10 are well balanced, they are not quite as neutral as the C16. Their bass is more prominent, especially in the mid-bass section, and appears to be more present in the lower segment. Midrange is a bit more recessed and slightly more coloured. Treble has a small hump in the lower area and then rolls off more rapidly than the C16. The C16 therefore appear more coherent and organic in their presentation. In terms of technical ability, the C16 are better in instrument separation and imaging, but the soundstage is larger on the AS10. Even in terms of detail the C16 wins (and it does hands down!). BGVP DM6: the C16 are even closer to neutrality than the DM6, which is quite remarkable in itself. The DM6 have slightly more elevated bass, though less than the AS10, with more speed and detail; the same is true for midrange, which is more detailed, yet a bit recessed compared to the C16; treble is much more detailed on the DM6, but also less extended. The DM6 are better technically, as they offer larger soundstage, more accurate imaging and slightly better instrument separation. While the C16 are more linear in their frequency response, the DM6 offer a better representation thanks to their better technical ability. Fearless Audio S6 RUI: the S6 RUI are close to the C16 in terms of tuning approach, with one main difference: they have a small boost to the upper midrange and lower treble which makes them sound a bit brighter. The difference is small and definitely not night-and-day, but it’s still noticeable. The S6 RUI are way better in terms of technical ability, though: their soundstage is much larger, imaging is more accurate and instrument separation is much better. Considering the tuning is similar, the S6 RUI come out as the best between the two. Tin Audio T3: the Tin Audio T3 are mostly similar to the C16 when it comes to tuning, but they’re different in one key area: treble. The T3 are in fact much brighter than the C16 and treble may appear unbearable for some, while the C16 are more tame and relaxed. The T3 are also more detailed, which is a bit of a counterweight given the additional emphasis. The T3 and the C16 are similar in their technical ability, with the T3 having slightly larger soundstage and comparable imaging and instrument separation. 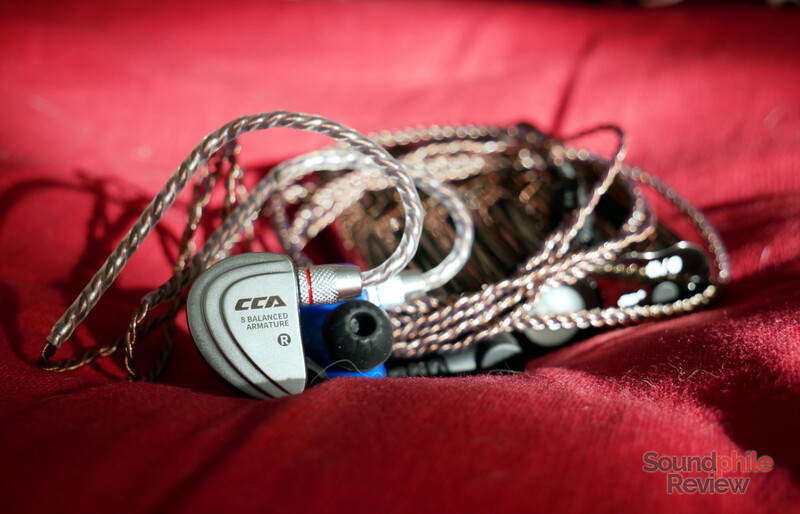 The CCA C16 caught me completely off-guard: while KZ proved that they can design balanced earphones using balanced armatures, I was not expecting them to design IEMs with such a neutral response and a similar level of sound quality. 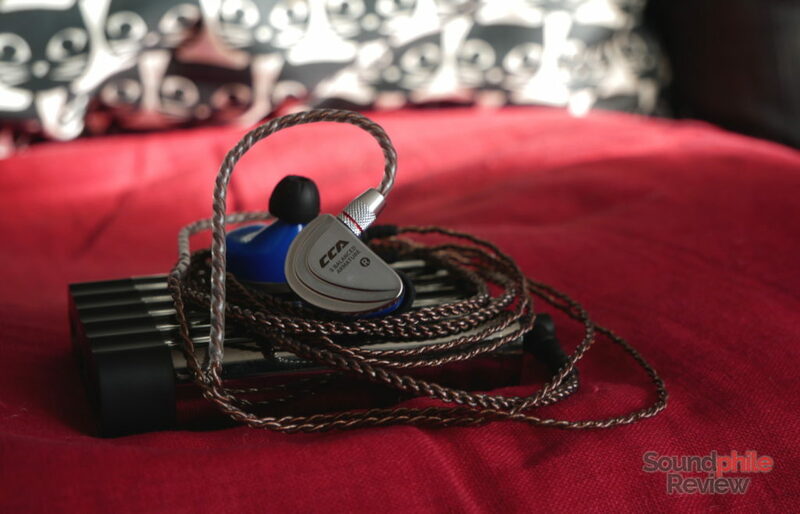 The C16 do not sound like $150 earphones, neither from a tuning nor from a technical ability perspective. They’re more than convincing. In fact they’re the proof that the so-called Chi-Fi scene can still improve and offer better products while keeping prices low. The only flaw I see is the cable, but thankfully that’s easily fixable with a new IEM cable. However hyperbolic that may sound, the CCA C16 are one of those “must-have” Chi-Fi products like the Tin Audio T2/T3, the BGVP DM6 and the Fearless Audio S6 RUI. despite considering their price, which one will you choose? T3 or cca16? It depends on what you are looking for. The C16 are probably more linear and neutral than the T3, with slightly better bass extension and less treble emphasis. On the other hand, the T3 have a dynamic driver that makes bass more physical and they could be more suited for certain genres (e.g. jazz). They could also be more comfortable (that’s highly subjective, though).